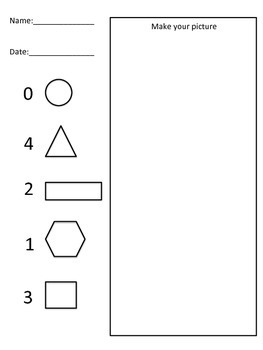 Learning how to manipulate shapes is an important predictor of how well a child will be able to work with fractions in higher grade levels. 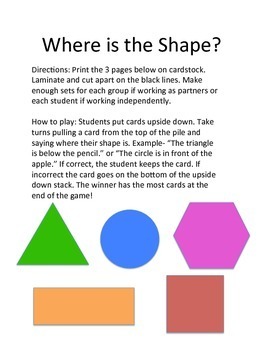 This lesson plan and the three corresponding centers are a good way to get your students thinking about how to manipulate shapes. 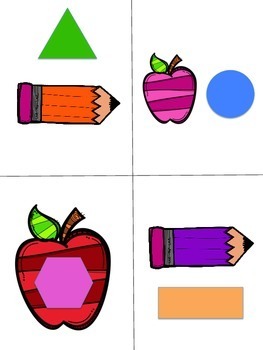 After introducing shapes and directional/positional words such as above, below and beside, this activity can be used to increase understanding of multiple Common Core State Standards at the same time! 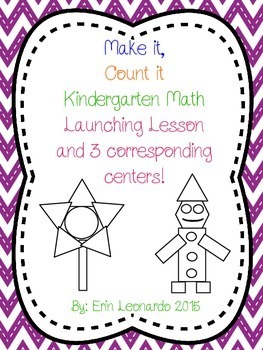 This lesson and activity will have your students counting, identifying shapes and using directional/positional words so that they can hold meaningful conversations with partners. I hope that you and your students enjoy the lesson and activities as much as mine do!